Mayor de Blasio, with Speaker Melissa Mark-Viverito at his side, at a promotional event for IDNYC in 2015. Advocates who opposed a policy of keeping documents submitted by IDNYC applicants believe the doubts they raised in 2014 have been validated by the legal fight over destroying those papers before Donald Trump becomes president. 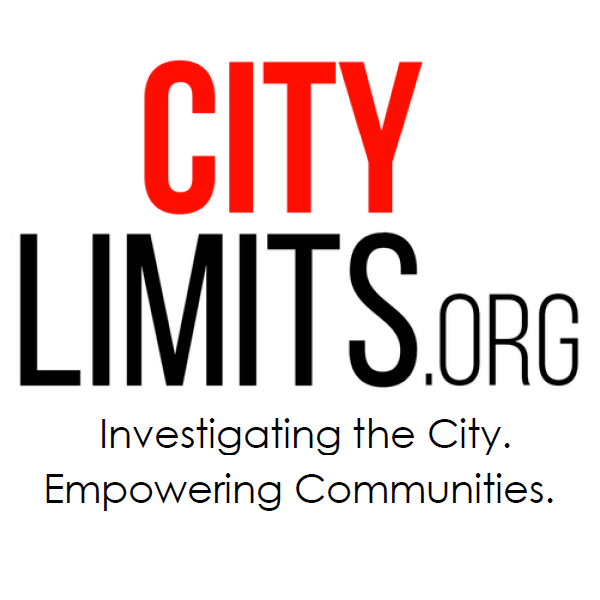 The policy of keeping documents was not part of the original version of the IDNYC law but was added during intense negotiations involving City Hall, the NYPD and advocacy groups. Some of those advocacy groups—like Families for Freedom and the New York Civil Liberties Union—ended their support for the IDNYC program over the retention policies because they feared the information could be used by federal authorities hunting for undocumented immigrants. Other organizations expressed concerns but continue to support the bill and promoted the ID program. The fears about the documents have grown more widespread since Trump, who has pledged to deport millions of people, won election. A lawsuit by two Staten Island lawmakers has at least temporarily halted the city from a planned purge of the documents in its possession. 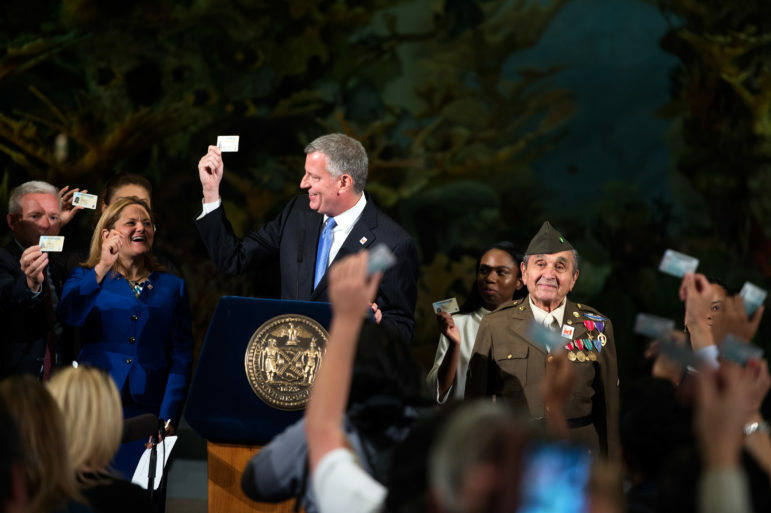 Mayor de Blasio recently said that IDNYC, one of his signature achievements, would no longer retain copies of passports, utility bills and other documents submitted by people applying for the card, which is held by more than 860,000 New Yorkers. For advocates, that move—while welcome—casts a harsh light on the decision to collect the documents in the first place. Still, many immigration advocates think the ID was a positive step. New Haven, Conn., was the first city to issue a municipal ID in 2007, and some local advocates had been pushing for New York City to follow suit in order to give a widely usable ID card to the undocumented as well as others who lacked official identification. De Blasio embraced the ID as a candidate and called for it in his first State of the City speech. From the outset, the idea faced an obstacle: How do you create a tool that will be especially useful for undocumented people without making it a scarlet letter? Attaching museum discounts and other benefits to the card aimed to broaden its appeal so that even citizens would obtain it. But while that broader usage meant the card itself didn’t necessarily indicate a holder’s immigration status, the documents associated with each application still could. To obtain an IDNYC, a person has to present documents that establish identity and residency. Among the accepted proofs of identity are foreign passports, consular ID, foreign military identification—all of which could indicate a lack of legal presence in the U.S. The question that triggered tension during the negotiations over IDNYC was whether that material needed to be saved once IDNYC staff reviewed the documents and approved the card. But the language that became law described a very different approach. It permitted the city to, once a quarter, destroying any application documents that had been held for two years. It also created an opportunity to destroy all the documents in the program’s possession “on or before December 31, 2016” and end document retention then—an effort to ensure that the papers could be shredded before an anti-immigrant president took office. The lawsuit by Assemblymembers Ron Castorina and Nicole Malliotakis, both Staten Island Republicans, argues the state’s freedom of information laws should prevent that destruction of documents. Malliotakis made her opposition to the destruction clause known as early as February 2015. When IDNYC was being shaped in 2014, “retention to us was something that we absolutely did not want,” Betsy Plum, director of special projects at the New York Immigration Coalition, recalls. A mayoral spokesperson says the retention clause was inserted “after consideration from many stakeholders, including NYPD.” In addition to the language permitting destruction after two years or at the end of 2016, the final bill did require a court order or warrant for the documents to be handed over to any third party. Some advocates believed those safeguards were enough to justify going ahead with the ID. “Once we were able to see a clear path for the data to be protected, we saw the benefits far outweigh the risks,” Plum says. Another advocate involved in the discussions recalls that the coalition of advocacy groups involved in the negotiations took a vote on whether to maintain or drop support for the measure; a clear majority favored pressing ahead with the ID. In the months after the law’s passage but before it took effect, the commissioner of the city’s Human Resources Administration—which oversees the ID program—issued executive orders clarifying the protections for IDNYC data and the handling of requests for program information by law enforcement. Calling all journalists, advocates and concerned residents: Celebrate Sunshine Week by taking our quick survey.